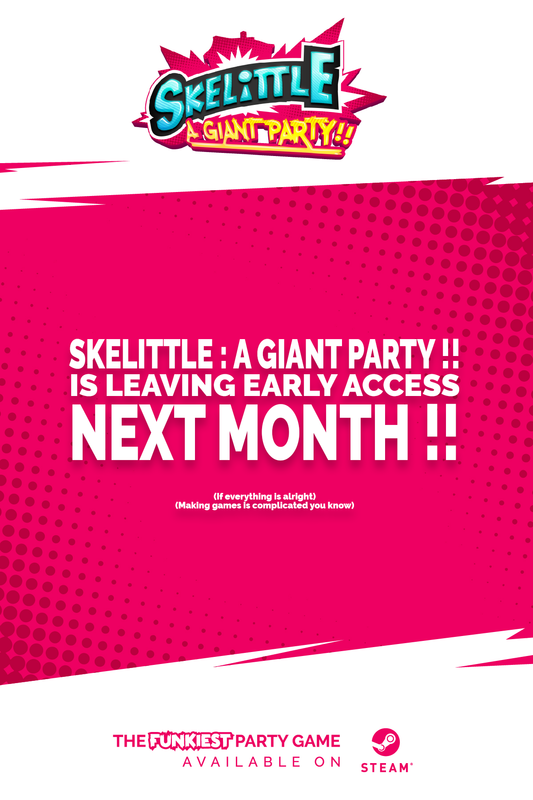 Skelittle: A Giant Party !! 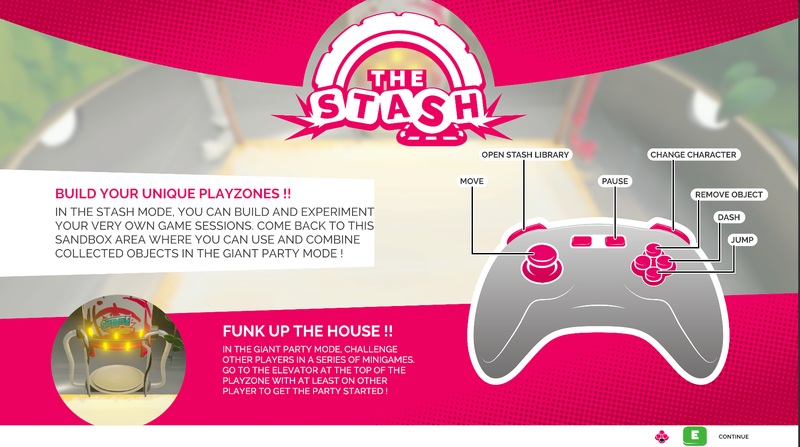 is a wicked party game that will make a mess of your couch gaming sessions. The Skelittle are naughty toys who escaped from cereal boxes. Their goal is to take control of the house. Play with them to challenge your friends in a serie of messed-up mini-games and use the game editor to create your very own Playzones ! It's made for instant fun for 2 to 4 players who can play either on a Keyboard or with a controller. The Early Access will have 15 mini-games, and the full release will contain 20 of them. There will be 6 Skelittle in total and a lot of items for you to put in the Playzone and create your very own minigames ! We are extremely proud to announce that our lovely Party Game will be leaving Early Access in April ! We do not have a precise date to display, but if everything is alright, we will be able to tell it pretty soon ! - We've been focusing on delivering a lot of mini games in the beginning, but after a lot of conversations within the team, we've all agreed that the best thing to do would be to actually focus on quality rather than quantity. 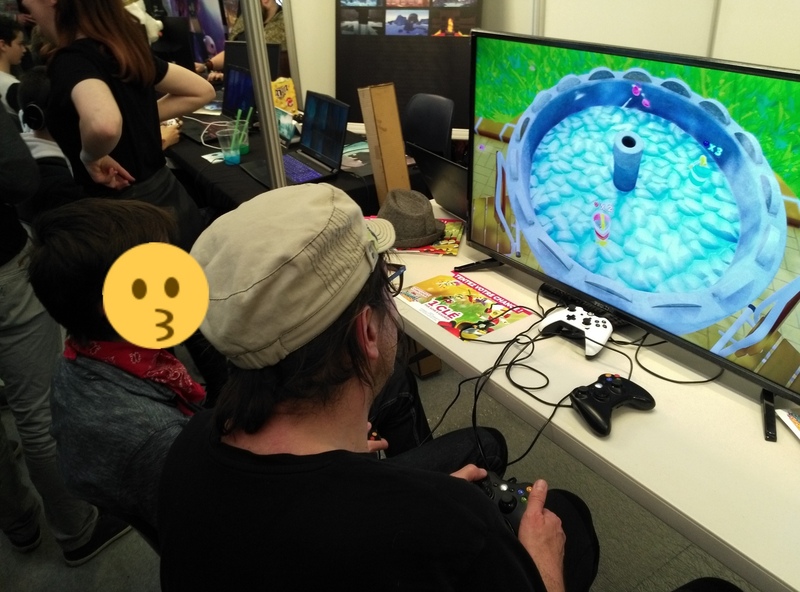 This way, we've been concentrating on polishing the mini-games enough to make them fun to play from 2 to 4 players, and not just throw a lot of mini-games and hope that people will find them entertaining enough without any balancing between the 4 players sessions and 2 players sessions. In the final release we'll have 15 playable mini games, polished and balanced with love, and we're already proud of them all ! And we're adding AI for solo players ! - Do not assume that your UI is understandable by everyone. This a problem a lot of devs seem to have : you try your best to make your UI simple enough, thinking that everyone will get it, but that's definitely not something you should take for granted. When you always are working on the same project, everything will seem easy to understand, but guess what, new players didn't work on your project along with you, and they are lost when they launch your game. They do not want to read a huge wall of text, neither try to figure out what these weird icons mean, so you'll have to find a way to explain it without discouraging them ! We've been in conventions and show-offs that were helping us a lot regarding UI, especially with kids : If a kid that cannot read does not understand how to play your game - even more when your targets are families -, then you failed. Our UI evolved quite a lot until today, and we're still not done with it ! There's a lot to learn regarding this subject ! - You should run playtests. A LOT. Especially with people you don't know ! Here's the point : Your buddies and family members are more likely to throw compliments at you rather than telling you that they didn't understand some stuff. That's fine, everyone deserves compliments from time to time, but they aren't going to help you to improve your game. This is why conventions are a blessing and you should consider participating to some of them : It's full of people you do not know, they don't care - yet - about you and are more likely to express that they didn't understand something. Either they'll tell you directly, or you'll see it : They'll be blankly looking at their controller, sighing, look completely lost, or super happy. Observe them carefully and take a WHOLE LOT of notes ! Plus you'll be networking and meeting a lot of lovely people ! So GO GO GO ! That's it for today guys ! We'll be sharing a bunch of other thingies with you pretty soon, until then, take care, and good luck for your projects ! Here's a bunch of keys you can take, feel free to review it on Steam if you liked it, as it helps us getting some sweet visibility and credibility ! A giveaway, an update, and some Work in Progress !